The Delta-Sigma ADC IP developed by Toshiba Information Systems is a second- or third-order high-resolution ADC. 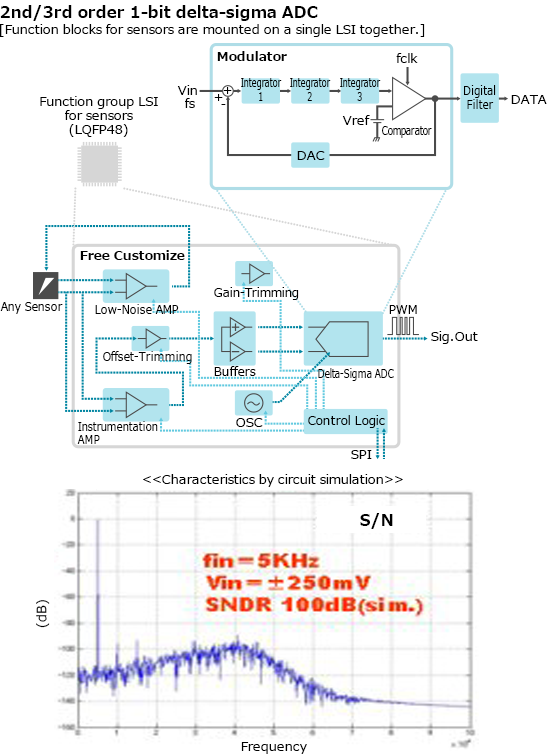 A simulation demonstrated a high signal-to-noise ratio of SNDR=100dB (Typ) (at fs=20MHz, fin=10kHz). 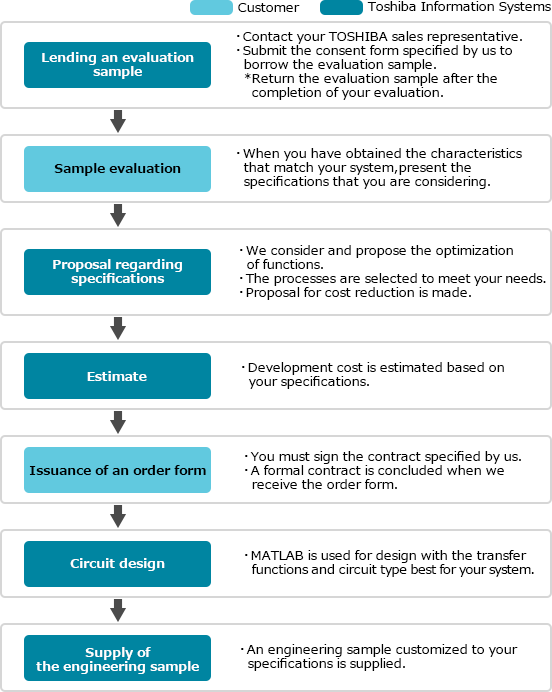 Evaluation samples are provided. * The content described on this page is subject to change without prior notice. Various solutions including the proposal of specifications, circuit design and engineering samples are provided upon customer request.